New Year's is my favorite holiday. What I enjoy most about it is the opportunity to take a step back, reflect on the wins and challenges of the completion of the year, and to envision some highlights I'd like to cultivate in the coming year. Last year, I had WAY to many items on my 2017 list, and so it's not very surprising that I didn't accomplish all I set out to do. And I broke one of my cardinal rules in creative productivity: to have my goals in a visible place so I can stay focused. I love the idea of a vision deck, which I started with last year, though I had close to 100 cards. While it was fun, it was unruly to navigate year-round. This year, one of my keywords for the year is SIMPLICITY. So in preparation for a beautiful, simple new year, I decided to revamp my vision deck idea. For 2018, I whittled my card set down to a max of 12-15 cards. 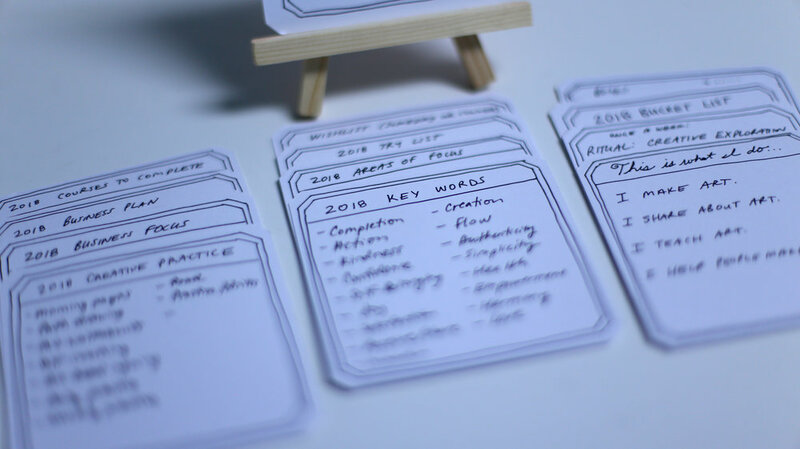 Following a bullet-list format, each card contains a list of what I'd like to make space for this year. What's great about this deck is that it's small, simple, and manageable. I have a miniature easel for the cards to be displayed, so each day or week I choose a new card to feature so I can give that list special attention. The cards are just plain pre-cut cardstock from Barnes & Noble (these are Zentangle squares), though you could use plain index cards or cut out squares from your favorite scrapbook paper... it's very customizable. The easel stand can be found on Amazon or Etsy. Do you like this idea? 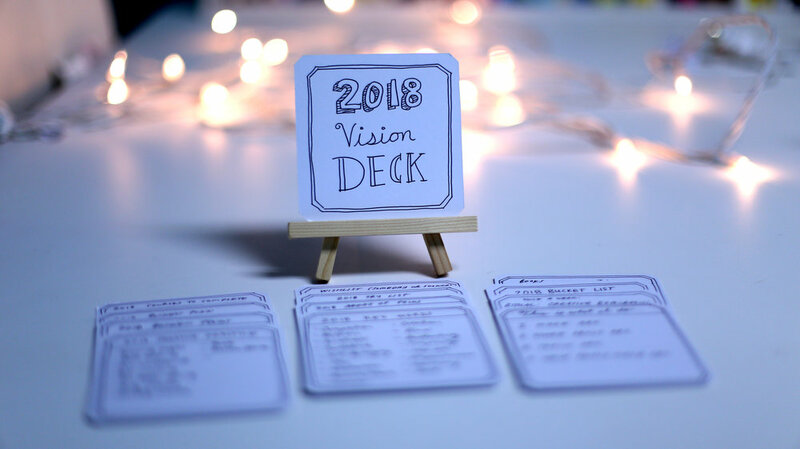 Let me know if you try it out, you can share your pics on instagram with the hashtag #2018visiondeck ! Have an inspired and creative New Year!